Since quietly appearing on the scene at the beginning of 2013, Audio Noir has slowly built up a strong reputation for creating atmospheric and dance floor friendly productions. 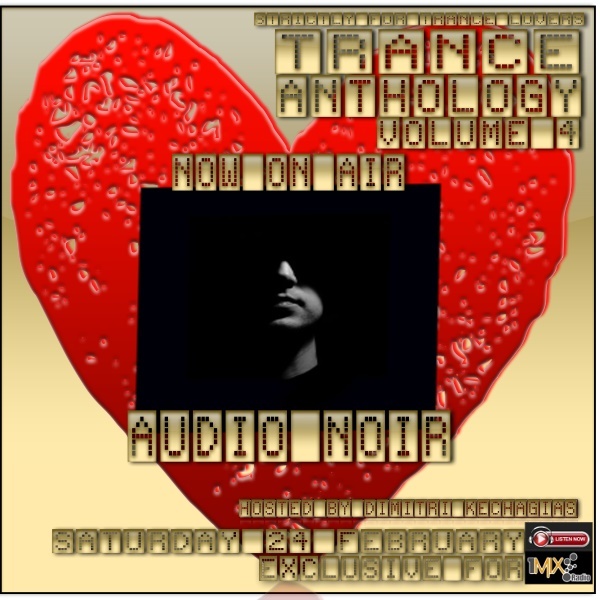 In a short space of time, Audio Noir has gained support by many of the industries most notable DJ's; including: Paul Oakenfold, Solarstone, Airwave, Gai Barone, M.I.K.E Push, Matan Caspi & many more. Having received his "lucky break" by signing on with the ultra classic label - Bonzai Progressive, Audio Noir has gone from strength to strength releasing material on other respectable labels such as Perfecto, J00F & Green Martian, EDM Ravers & more. Releasing quality productions & remixes regularly, the Adelaide based producer shows no signs of letting up with his a number of releases so far on the finest progressive house and progressive trance imprints. Bedrock - Heaven Scent. I've met John a few times, a surprisingly quiet, unassuming type of guy! Yet, he's deadly in the studio! the first release on Bedrock - Johns imprint - had to be special. And it was! A lovely balance of dark & light. One of my favourite examples of raw energy within a track! I added the silence acapella on a whim! I think it sounds ok! Leftfield Feat. John Lydon – Open Up: Leftfield is one of my fav artists. Period! he's diverse, edgy and is somehow able to market his appeal to a broad audience. Some feat. Considering he's music was never meant to be crossover material Open up is notorious - as when it was released California was on fire! The vocals, Burn Hollywood burn were seen as the ultimate insult, although that was clearly not the intention. Just unlucky... or lucky timing! All the publicity gave the track a cult following! Still stands the test of time today. Solid, tight arrangement. Buffet of subtle sounds. BOOM! Peter Lazonby – Wavespeech – Junior Vasquez Mix: The ultimate example of a slam dunk, in your face piece of music! A rare excursion from Junior Vasquez from the depths of Twilo to progressive house! A very unique arrangement with a wonderful example of breaking down a track to almost nothing! A bold and massive remix that in my opinion outshone the original. Vasquez was known for his tuff, dark tribal house, deep house. So to come out with a remix of this calibre in a truly progressive genre, gained my respect for him greatly. Rock-solid production. Inner City – I Believe – Laurent Garnier Mix: Inner City is one of my fav acts of all time. With countless hits and remixes. Yet Laurent Garnier grabbed this track by the balls and reconstructed it completely. Inner City - I Believe. Laurent Garnier Remix A deep, acid laced, atmospheric gem that still stands out today. I always got the impression that Laurent could produce something like this & polish it within a day! Laurent if anything, is a master storyteller. Something I'm trying to do with my productions today. Twists, turns, unexpected sounds, drops. He's a true journeyman. Especially his older material. Which I've studied many times! P.V.D – Beautiful Place – Original Mix: PVD has been around forever! How is this guy now? 70!!! So many productions a DJ could put in their top 10 all time favourites. I chose Beautiful Place as its a fine example of his more mellow side (aka Love Stimulation) and also because the key mix really flows nicely! What I love about PVD is that he always seems to find the right balance in his sound selection. Not as bold as some producers maybe, but he's literally guaranteed to deliver a polished, warm sounding production, regardless if its progressive house or trance. This piece of music is another great example of lush atmospherics, bright, purposeful piano & heavy synth work & FX all coming together in unison. A PVD classic! L.S.G – Netherworld – Vinyl Cut: I've met Oliver twice. I've been lucky to meet a lot of great producers. Some of them sadly, no longer with us. Oliver is all business. You can see that in his productions and this track is a great example. He has formula book and this is a wonderful example of less is more. Something I still struggle with sometimes! Netherworld is a serious track. Mystical, deep & energetic at the same time. I never did like its original tempo. I always pitched it down few BPM. I've heard other DJs do the same. By doing this, for me - it makes this track become a true progressive-trance anthem. Just wonderful sounds. You get the impression his has a vault full of unused and unheard elements just waiting to be unleashed! Oliver Lieb is a powerhouse. A writing & recording machine! Who knows how many releases he's been involved in. Perhaps over 1000. he has so many aliases. So Diddy, as an artist, was in some respects over before it began. For me, Small World incapsulates the feel of the 90s perfectly. When there were still so many sounds to find, ideas to create and styles to produce. Well before the ideas began to dry up & become harder to find. Long before the cycles of music production became smaller and smaller. This track is simple. It really is. No hidden trickery, no over production. Just face-value reminiscent, nostalgic chords, classic 90's piano. Casio synths (All the rage back then) a fanatic percussive groove over a 909 kick. I would even recommend this track as a template for your own piano/trance productions. One of the best examples I can think of for creating a beautiful track out of sheer simplicity & brilliant conceptualisation.